Don’t let earring or jewelry problems hold you back from looking and feeling good. 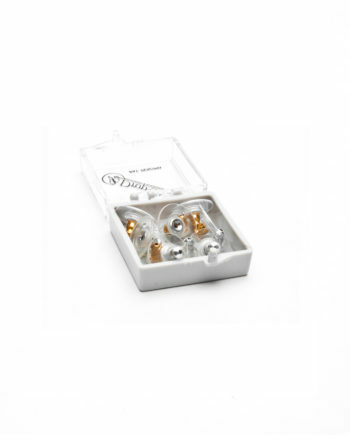 We provide products to make sure you get the most out of your earrings and jewelry. 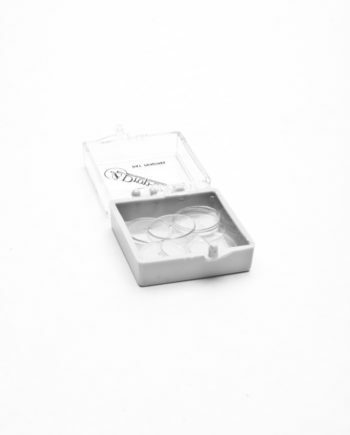 The EarringDoctor’s mission has been to not only provide quality products that solve the problems, but to supply you with your everyday hard to find basics for simply wearing your earrings comfortably all day, while making you, and them, look and feel good. Earring Doctor has been featured in many different media outlets. Take a look at where we’ve been featured. See what people are saying about us and why they choose us above anyone else. Thanks, I received them yesterday and just put them on the set I ordered them for! I'm very happy I found you, and will pass on your information to my friends who do not have pierced ears, and those need pieces for their pierced earrings! Thank you so much! I received my first order yesterday and LOVE them and didn’t realize how many I needed. I will make sure to tell my friends at a big party we're having here Saturday. Can't tell you how thrilled I am that this product works. I am one of those people that gets even close to costume jewelry (and some silver) and I would break out in itching and swelling. I tried fingernail polish and was not pleased. But I put your product on my earrings and do not have any problems. I am delighted to find something that works. I will spread the word. How did I live without these? As you get older - your earlobes tend to get droopy. This is the cure. I received these today and have them on with some of my heaviest hoops. Perfect. Thank you and I am placing another order for these right now. Have told all my friends via email. I hope you get many orders. 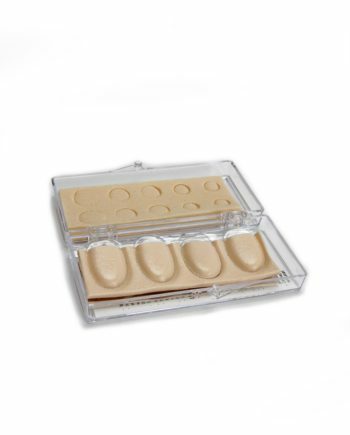 I have just ordered the comfort back Le Disc Plus from you..what a delight to find your site! I recently got a second piercing and have a lot of new studs to use. One pair of expensive diamonds. I have found the tiny butterfly backs impossible to use and they are causing a lot of frustration..easy to lose.. and annoying to try to get them on. I was looking for an alternative and there you were online. I am looking forward to receiving these backs and now can wear my new earrings. Recently I purchased a pair of 'Drop Stops' for my wire earrings. They are so much more attractive than the white rubber ones I've seen, because they are metal. I believe that I am not the only consumer who would be pleased to use your product on all my earrings, not just a few. Thank you soooo much for your product. My earring hole was really damaged from wearing heavy earrings but thanks to your product I don't have to worry about that anymore!!!!! I can wear earrings without them stretching my ear!!! I received my earring backs. Thank you. They are wonderful!!! I am so glad I found your website and will indeed tell all my friends who are struggling with those cheap looking plastic disks that wear out and cause me to lose my earrings at work because I am on the phone and my earrings take a beating. Now with these excellent backs I won't have that problem. Thanks again for an excellent product. I accidentally broke the post off a keepsake earring my husband had brought me from Kuwait. The jeweller couldn't attach a new post, he was afraid the heat would crack the stone. I found Postables on your web site. They did the trick. Thank you so much. If I ever have another earring problem you're the "Doc" to go to. It's very nice to find someone who actually stands behind a product, and cares about his customers. I wish you all the best! Many thanks! What can I say but Thank you from the bottom of my heart! You really did change my life and money can't buy what your product did for me! I don't know how my earlobe tore. It happened gradually over a period of time. One morning I woke and found a horrendous and ghastly nightmare that I was forced to contend with. Because I work in a business office and deal with the public I am always in professional dress and must look my best. I wear earrings all the time and when I realized that I wouldn't be able to any longer, I resorted to using one of those permanent glue products to hold my earlobe together. I developed an allergic reaction to this product. I called plastic surgeons and found out that it would cost me approximately $1, 8000 up front in advance to have the surgical procedure done to repair this without the promise that it would be permanent. I was desperate for an immediate solution that I could live with until I could come up with the funds for the cosmetic surgery! I found you on the internet in my research for a solution. You changed my life and I am ever grateful beyond words. Your product was not only reasonable price wise but manageable to work with. So simple to use! I thought for the price, what the heck!? If it's a gimmick, I haven't wasted too much money. But it wasn't a gimmick at all! It was a life saver and it worked like a dream. What can I say but Thank you from the bottom of my heart! You really did change my life and money can't buy what your product did for me! I don't know how my earlobe tore. It happened gradually over a period of time. One morning I woke and found a horrendous and ghastly nightmare that I was forced to contend with. Because I work in a business office and deal with the public I am always in professional dress and must look my best. I wear earrings all the time and when I realized that I wouldn't be able to any longer, I resorted to using one of those permanent glue products to hold my earlobe together. I developed an allergic reaction to this product. I called plastic surgeons and found out that it would cost me approximately $1, 8000 up front in advance to have the surgical procedure done to repair this without the promise that it would be permanent. I was desperate for an immediate solution that I could live with until I could come up with the funds for the cosmetic surgery! I found you on the internet in my research for a solution. You changed my life and I am ever grateful beyond words. Your product was not only reasonable price wise but manageable to work with. So simple to use! I thought for the price, what the heck!? If it's a gimmick, I haven't wasted too much money. But it wasn't a gimmick at all! It was a life saver and it worked like a dream. I was fortunate enough to come across your product 'Slip-Ons for Clip-Ons' earrings, which I find is a much needed product, but has been hard to find. I am enclosing $20.00 and would appreciate it very much if you would send me as many packages as this will buy. Thank you very much. I purchased a box of Le Disc Plus earring enhancers. These are absolutely fantastic as I have floppy earlobes and until acquiring this product, I have only been able to wear small earrings. Now, any earrings that I like, I can wear! So congratulations on a superb product. Can I just thank you for the speedy delivery of my order. I am so impressed with both the service and the product and I will be a repeat customer and recommend you to my friends and colleagues. Such customer service is a rare thing these days - well it is in the UK and I am so glad to have discovered you. Can I just thank you for the speedy delivery of my order. I am so impressed with both the service and the product and I will be a repeat customer and recommend you to my friends and colleagues. Such customer service is a rare thing these days - well it is in the UK and I am so glad to have discovered you. Many many thanks! buy just about any earring I want because Ira, in Florida, has the answer. Thanks again. Dear Earring Doctor Ira, I don't know if you received my email, however, I did find testimonials on your site and so I did not want to fail to advise your customers of what a great product you have. I am now able to convert pierced earrings into clip ons in less than one minute, and what a difference that is going to make for me. Best of all, it was so easy to do, exactly as you said it would be. I have often wanted to buy earrings, however, they were pierced, so I did not buy them as i don't have pierced ears. Now I can buy just about any earring I want because Ira, in Florida, has the answer. Thanks again. I bought your product 'Le Disc Plus' last fall in the store. Many of my earrings I couldn't wear before, I can now. Could you please send me an order form or tell me where I can get then in my area. I would love to order them for my friends. Thank you so much for the freebie package of earring disc backs that arrived—as promised—yesterday. I am happily, comfortably wearing two of them today and spreading the word far and wide about your terrific product line and exceptional customer service. You have a customer for life! Thanks again for taking such good care of me and my ears. You're a gem! Thanks a million for such outstanding service. Convey my thanks for going that extra mile to deliver first rate customer care. You're a gem! Thanks a million for such outstanding service. Convey my thanks for going that extra mile to deliver first rate customer care. Many thanks! Hello I just wanted to say that you all make a great product. I tore my ear a little and my earring always hung lower on one side and hurt. So I decided to buy LeDisc Plus, well they came today and I put them right on and my ear doesn't even hurt. Dear Mr. Carlin, I used your "Earring Converters" to turn a pair of pierced earrings into clip-ons for my wedding and they worked perfectly! Not only that, but the personal hand delivery just days before my wedding went over and above the call of duty. You really made my week! I wish more businesses offered such a high level of customer service. I am so appreciative, please feel free to use me as a testimonial any time. THANKS SO MUCH. EVERYTHING INCLUDING EXPEDITED SHIPPING IS AS PROMISED. I'VE ALREADY SHARED YOUR WEB SITE WITH A COUPLE OF FRIENDS AND GIRLS IN THE OFFICE. THANKS SO MUCH. EVERYTHING INCLUDING EXPEDITED SHIPPING IS AS PROMISED. I'VE ALREADY SHARED YOUR WEB SITE WITH A COUPLE OF FRIENDS AND GIRLS IN THE OFFICE. THANKS FOR THE LOLLYPOP!!!!!!!!!!!!!!!!!!!!! I would like to take a moment to congratulate you on your solution to a most annoying drooping earring problem. Your "earring enhancers", Le Disc Plus are a Godsend. I'm sure in time more people will hear about them, or it will certainly be their loss. I am now able to wear any style of pierced earring. Again, thank you and congratulations. I have always suffered from a reaction to any metal but now am using your product 'Reaction Block'. My ears no longer itch when I wear my earrings! Thanks so much for this great product. I received your products and they really work! Oh, and thanks for the lollipop!!!! Earring Doctor runs a Class Act! My earring backs & stoppers arrived quickly, and I love the little boxes. Thank you for the lollipop! Earring Doctor runs a Class Act! My earring backs & stoppers arrived quickly, and I love the little boxes. Thank you for the lollipop! Who doesn't love a surprise? Thank you so much for absolutely delivering what you promise. I am just so thrilled to not only have these converters from pierced to clip on, best of all--you have made it remarkably easy--took me less than 1 minute to convert pierced earrings to clip on. I will be certain to tell anyone I know who has this same need. Frankly, i thought it would be difficult because i have circulation problems with my fingers - it was so simple to do. In less than one minute, you changed a fashion statement. Many thanks. Dear Earring Doctor Ira, Thank you so much for absolutely delivering what you promise. I am just so thrilled to not only have these converters from pierced to clip on, best of all--you have made it remarkably easy--took me less than 1 minute to convert pierced earrings to clip on. I will be certain to tell anyone I know who has this same need. Frankly, i thought it would be difficult because i have circulation problems with my fingers - it was so simple to do. In less than one minute, you changed a fashion statement. Many thanks. THANK GOD FOR THE EARRING DOCTOR!!! I had ears surgery about 15 years ago, that was due to the piercing of my ears. I have a bad problem with scar tissue which is call keloids. Just this year, a friend of my purchase a pair of stud earring for me, it was wonderful but I could not wear them because my ear was not pierced. Connect with the gift was a pair of converter for non-pierce ears silver or gold I had choice to select from. She said go to earringdoctor.com find more converter if something happen to those, it was Christmas for me. 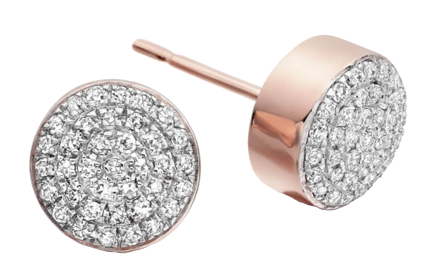 Now I am able to purchase a pair of diamond stud earring, that something I not look at in over 15 years. Thank you, so very much for coming up with that wonderful idea. Last year I purchased a box of 'Le Disc' earring enhancers. They were an immediate success! I quickly shared my discoveries with many others and even gave mine away as samples. Send me another box! I am lost without them as many of my earring sets I cannot wear without Le Disc. Thanks for the fast delivery! I have been looking for something like these cushions for a LOOOOOOOOONG time. Will be doing more business later, thanks! I am amazed my order has arrived in Australia, what an amazing delivery service. I need to say that I am delighted, I had a beautiful pair of Smokey quartz & diamond earrings made in Nepal 4 years ago and I have not been able to wear them due to my torn (and old age) ears, that is until this morning. I have only got one in so far, I just got so excited that I needed to e-mail you and say 'THANKS' for such a wonderful little miraculous product. 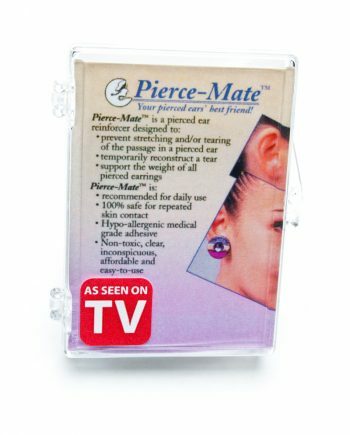 I ordered the "Pierce-Mate" kit about a month ago and I must say it is amazing! My left ear lobe is completely torn and has been since I was 8. I had been using nail glue to keep my ear together if I really needed to wear earrings somewhere. Not anymore!! Dear Doc, You solved my problem. I bought these earrings in April and wore them for the first time yesterday, thanks to you. I was going to write to tell you, the little lollipop was a nice touch. Thanks again !!! You have acquired a loyal customer. You saved me with your great quick fix item 'Postables'. I broke my earring post while traveling and needed to wear them for a wedding I was attending. I fixed them on the spot. What a simple idea that works so well. I recommend the Earring Doctor highly. The nicest people I have ever dealt with. Great customer service and wonderful products. I have told everyone I know that this is the place to order from. Thank you for all of the help you gave me. Just a little note to say thanks for a fantastic little disc called Le Disc that has solved my sagging earring problem. They are great! I have given your name to my local jeweller here in Prescott. I love big, heavy earrings and wasn't able to wear them because of my stretched earlobes. I think most of the stretching for me occurred in the '80s when huge earrings were "in." I found another product online for earring support. It was just OK. It was only paper and didn't give me nearly the support that I get from Earringdoctor.com products. So I switched and am very pleased. Thanks so much for providing a product that actually does what it is meant to do. The pricing couldn't be any better either. I received the order. Your customer service is excellent. The sucker made me smile, and the products were housed in cute little plastic containers. I couldn't be more pleased. I will definitely keep your site in my favorites. 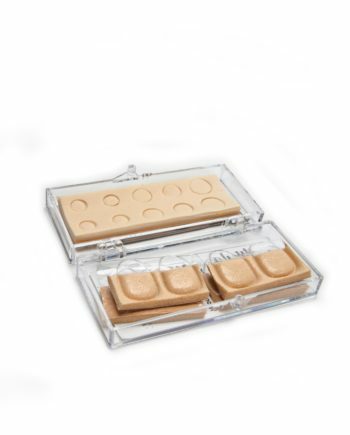 Have just ordered the comfort back Le Disc Plus from you.. what a delight to find your site.! I recently got a second piercing and have a lot of new studs to use...one pair of expensive diamonds.. I have found the tiny butterfly backs impossible to use. I received my order last week and I must tell you I have never been so impressed with buying something online from an American company as I have been with yours. You guys are fantastic - no muss, no fuss, just great customer service. I especially loved the lollypop! I will recommend you to everybody I know! Thanks so much. I love your products. My husband bought me very expensive diamond and sapphire earrings . They were quite heavy and I did not have the heart to tell him that they would not stay on my ear without dragging down. Your products" Le Disc" and "Disc mate" saved the day. Thank you so much. I would like to say how happy I was to find an item that allows me to wear pierced earrings again. I went five years wearing painful clip earrings to cover up an earlobe that tore when my toddler pulled an earring through my piercing. I never thought there could be an easy solution as this. I explored surgery which was very costly and never seemed to be a high enough priority to go to such extreme. I am really lost without your product and look forward to getting some more. I just wanted to let you know that I am very pleased with your service, I was happy with the merchandise, and it was sent in a timely manner. Thanks again. Hello I just wanted to say that you all make a great product. I tore my ear a little and my earring always hung lower on one side and hurt. So I decided to buy LeDisc Plus, well they came today and I put them right on and my ear doesn’t even hurt. Thanks so much. You guys just saved me a lot of money and I just wanted to let you know that I truly love this product. Thank you again.